Boiler Treatment Chemicals - Detroit, Michigan; Salt Lake City, Utah; and Atlanta, Georgia. What are boiler treatment chemicals? ChemWorld 1287 is an "All-In-One" (without Amine) Boiler Treatment Chemicals in a one drum boiler water treatment chemical with a concentrated sulfite based formulation and carboxylated organic copolymer specifically designed for use in your boiler water and steam boiler. The product is formulated for use in Vapor Modulatic boilers but has also found considerable application in other systems having softened water makeup and low condensate returns. ChemWorld 1287 provides one of the most effective copolymers for higher heat transfer boilers. This makes this one of our most popular Boiler Treatment Chemicals. If you require an amine, please refer to the amine all in one. How much chemical do I feed? Approximate use is 1/4 to 1/2 gallon per week for each 25 boiler hp. If you do not have a good deaerator, you may choose to also use a supplemental sulfite feed to reduce the amount of chemical use. 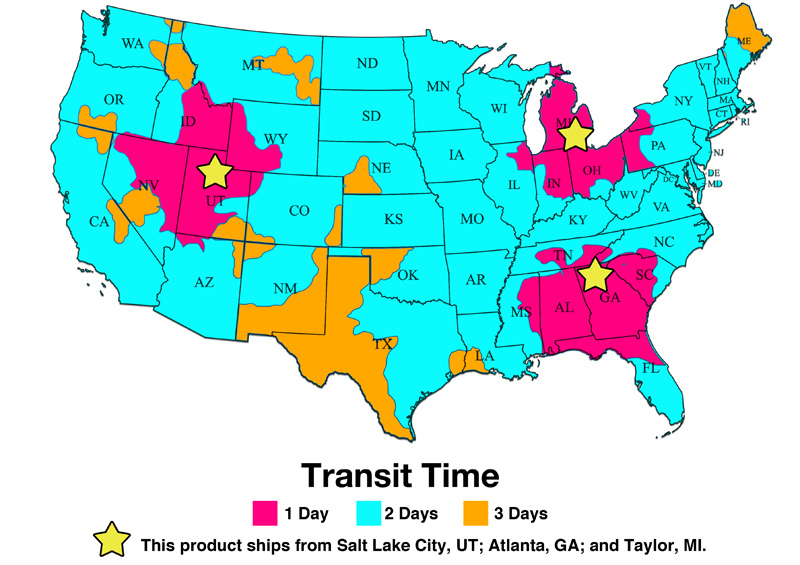 This product ships from Detroit, Michigan; Salt Lake City, Utah; and Atlanta, Georgia. How do you feed this chemical? ChemWorld 1287 is normally fed continuously to the feedwater heater or deaerator and injected into the center of the water with an injectiuon quill. However, shot feeding may be satisfactory in some circumstances. The product may be fed neat but is most often mixed in a chemical feed tank with the other materials required to complete the program. Normal materials of construction are satisfactory for the feed system. However, copper, copper alloys and aluminum materials must be avoided on direct feed components. ChemWorld 1287 is controlled by a sulfite test kit in the boiler water. The specific control ranges vary depending upon system operating conditions and will be specified by the technical representative servicing the facility. If you have any questions in regards to your Boiler Treatment Chemicals please contact us direct.